When it was active, the New Orleans Black Hat Society consisted of "Good Witches doing Good Work." 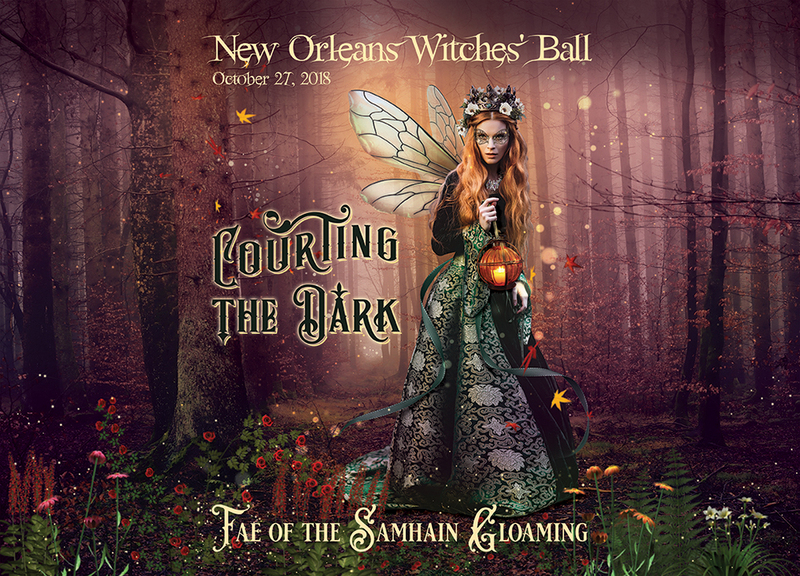 The Witches gathered regularly for casual social evenings, parties, and celebrations including the world-renowned Samhain gala, The New Orleans Witches' Ball. Launched in 2011, the Society was a loose collective of Witches and Pagans from the local community who shared a desire to help and support those in need.  As a charity-driven civic and social organization, the Black Hat Society was a not a coven but a philanthropic group preserving and perpetuating the unique culture and practices of Witchcraft, Paganism, and all Earth-centered spiritual paths. 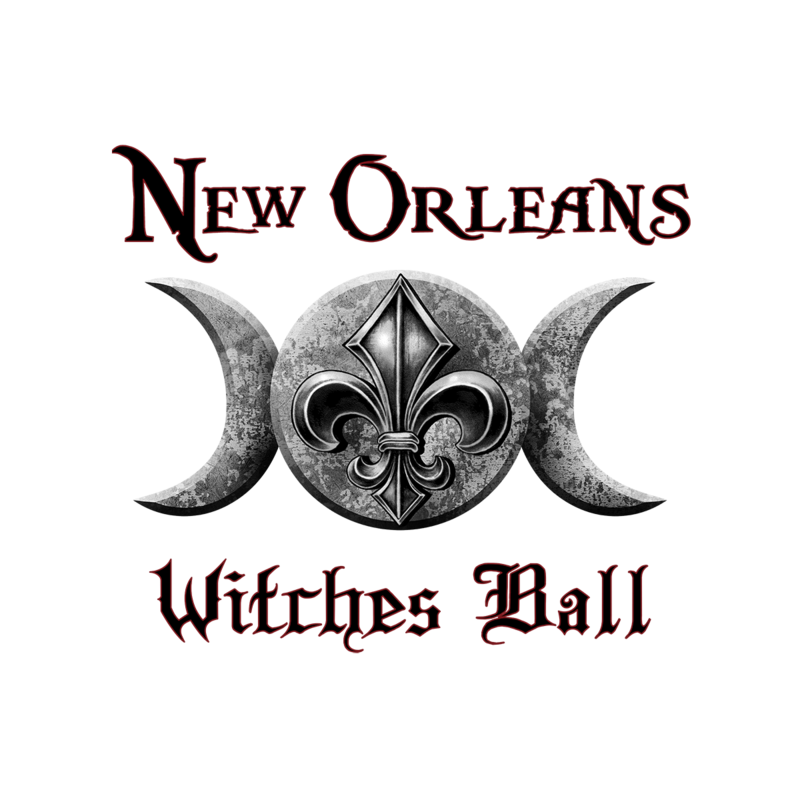 Throughout the seasons, the Black Hat Society was dedicated to many hours of service to the community as well as providing projects and events of philanthropy including WitchCon, Covers & Coats, and Moon Sisters, but the annual Samhain celebration in October continues to bring followers of the Craft and those who admire All Hallow's Eve together at the Witches' Ball. 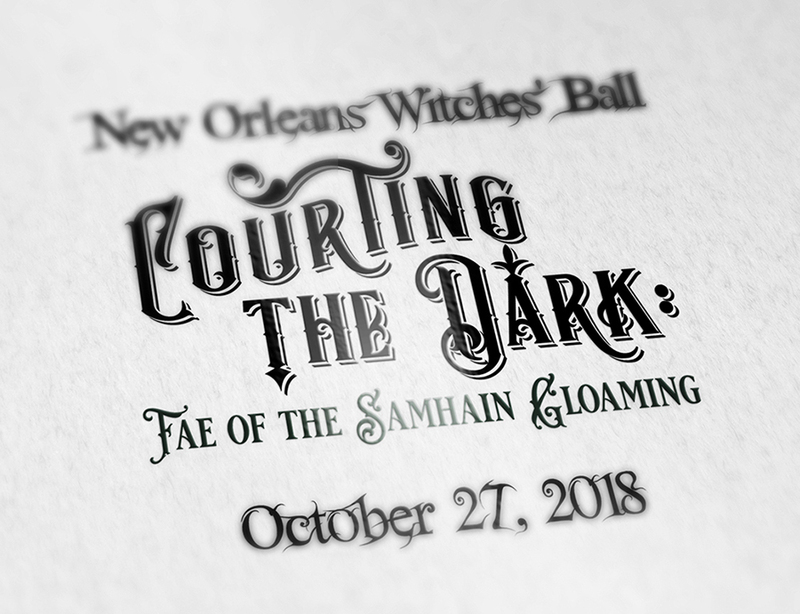 In 2018, the theme for the annual Witches' Ball was "Courting the Dark: Fae of the Samhain Gloaming." 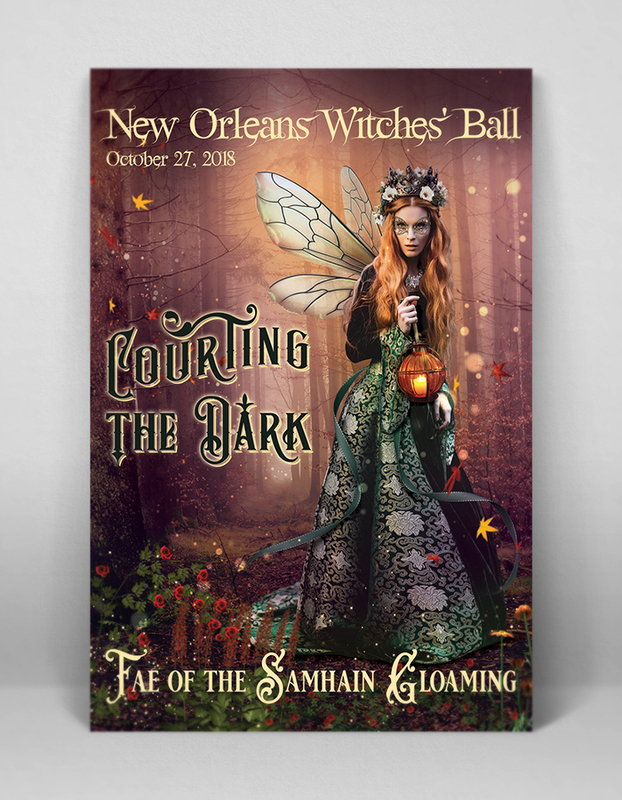 Midnight Boheme was hired to design the souvenir poster artwork to be sold at the black-tie costume event on October 27th at the Elms Mansion on St. Charles Avenue. Honored to create such a magical event poster, Midnight Boheme used photo manipulation to compose a fae-like wardrobe on the model and a gloaming forest of midnight magic in the background. The piece was widely received at the Ball and is a personal favorite of the artist. Midnight Boheme also designed the trifold brochure for the New Orleans Black Hat Society when it was in practice circa 2015. In addition, Midnight Boheme created a postcard invitation to The Witches Frolic in 2015.